Social Change And Political Transformation: A New Europe? 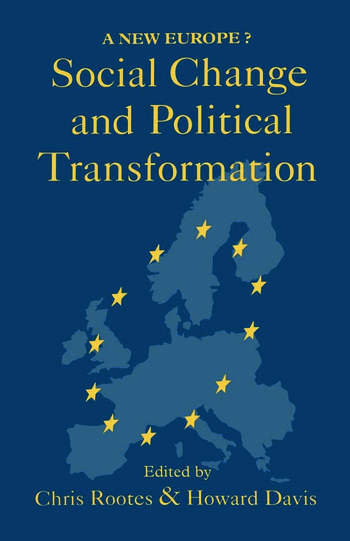 An examination of European political transformation which aims to analyze social and political change within the European Community, and to investigate the implications of a changing institutional framework within a disaggregated Eastern Europe. This book is intended for undergraduate and postgraduate courses in political sociology and politics as well as relevant libraries and academics. It should have significant appeal to researchers and students in European studies and others with an interest in European integration.